This truly unique game contains more than 1,000 miles of the toughest terrain Mother Nature has to offer, including the steepest mountains, thickest mud and deepest canyons known to man. Only the HD version much crisper and more detailed visuals running at super smooth framerates in up to 4K screen resolution. With countless vehicles in eight different classes, including Trophy Trucks, 4x4s and buggies, Baja Edge of Control HD features a full array of upgradeable options with authentic parts that affect each vehicle's performance. 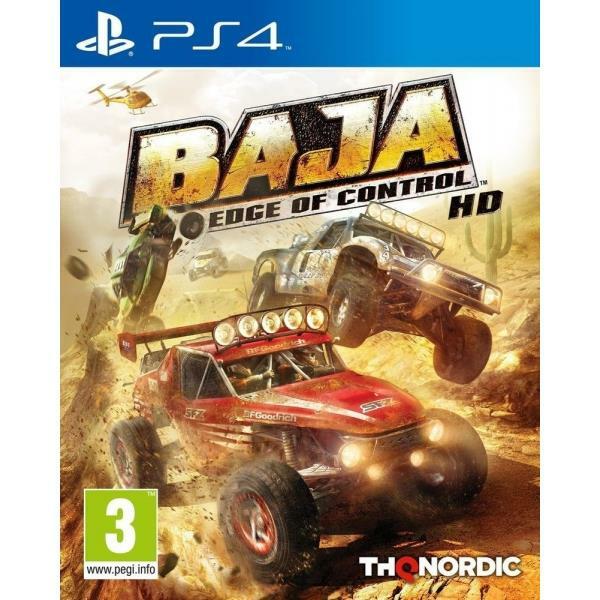 Players will put their off road machines to the test in near vertical Hill Climb challenges, head to head Open Class races, circuit races and the ultimate off road endurance challenge the Baja Baja Edge of Control HD contains more than 100 tracks across all landscapes in races that can last up to four hours. The game's vehicle physics deliver unprecedented life like handling, and a support management system that allows gamers to monitor and repair realistic vehicle damage as fenders fly, tires are blown, suspension is stressed and engines overheat.